Finding the best luxury SUV can be tricky. There is not single agency that rates SUVs. There are, however, respected sources for automobile rankings, including Consumer Search, U.S. News and World Report and Car and Driver. These magazines rank luxury SUVs in different categories, such as by size and fuel efficiency. Referring to these magazines can help you find the best SUVs with the comfort features you want. Knowing what the top cars on the market are will help you to narrow your search before you set foot on the lot. The nation's top luxury SUVs are ranked by consumer guide magazines and assigned different categories based on size and other considerations. If you're in the market for a sport utility vehicle, chances are that you don't think less is more. For those who agree that bigger is better, there are a variety of larger SUVs with luxury features. 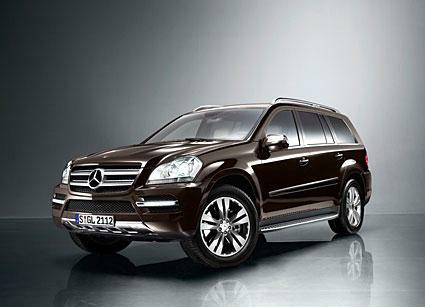 Mercedes-Benz GL Class: Mercedes-Benz is a name almost synonymous with luxury. Perhaps this is why the GL class was ranked as the best luxury SUV by the website Consumer Search. U.S. News and World Report similarly named the vehicle as the third best sport utility vehicle in its class. The car received good all-around marks for performance, exterior and interior, with noticeably lower marks for reliability. Car and Driver named it as one of the top vehicles in its class for fuel efficiency. 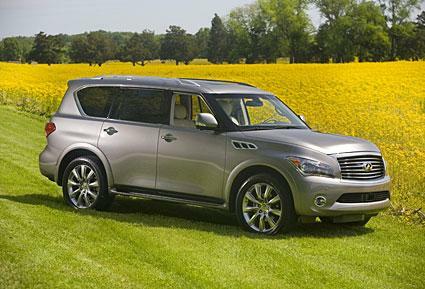 Infiniti QX56: U.S. News and World Report named this Infinity vehicle as the top luxury SUV. The car received high overall marks with particularly outstanding grades for performance and interior and slightly lower marks for the exterior. 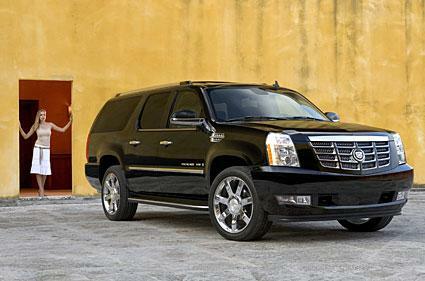 Cadillac Escalade: The preferred vehicle of big-time rap stars received the second slot on U.S. News and World Report's luxury SUV rankings. In addition to high overall marks, reviewers found the Escalade's exterior looks and safety to be particularly noteworthy. Those looking for something that makes a statement while at the same time keeping drivers and passengers safe should look to Cadillac's flagship luxury SUV. You may not want the biggest vehicle on the block. Both parking and fuel efficiency considerations may lead you toward a more modestly sized sport utility vehicle. Those interested in such an SUV should look into the top-ranking mid-sized luxury SUVs. Lexus RX350: Lexus vehicles are known for appealing to drivers who want more than a little luxury in their car. It should come as no surprise then, that Consumer Search named the Lexus RX350 SUV the top luxury sport utility. U.S. News and World Report ranked the vehicle as the fourth best in its class, as well as the best value among mid-sized luxury SUVs. Volkswagen Touareg: The German car manufacturer Volkswagen took the top slot for mid-sized luxury SUVs from U.S. News and World Report. Reviewers were particularly impressed with the vehicle's performance and interior. The latter is an area of primary concern for those in the market for a luxurious driving experience. Acura MDX: The second-highest ranked SUV, according to U.S. News and World Report, is the Acura MDX. The vehicle seats seven and boasts a number of high-tech features in the interior. The performance and interior received the highest marks, with the exterior receiving slightly lower grades. In addition to the aforementioned Mercedes-Benz GL Class, Car and Driver magazine has noted a number of other fuel-efficient luxury SUVs. These allow the driver to save money at the pump as well as be ecologically minded, even while driving a large SUV. Cadillac SRX: Cadillac has another claim to fame in the world of luxury SUVs. Their SRX model was tied for second in Car and Driver's survey of the most fuel-efficient sport utility vehicles. The vehicle seats seven, though lackluster performance ratings may have you looking elsewhere. Infinity FX35: If you like the Infinity brand and are looking for something both luxurious and fuel-efficient, the FX35 is for you. Car and Driver noted that the car had excellent performance, in addition to its notable fuel economy. Knowing the top models in the luxury SUV class will save you time with car shopping by narrowing your decision before you speak to a dealer. If you are in the market for luxury, knowing what the top models in the class are will allow you to spend your dollars on the absolutely best sport utility vehicle that money can buy.